Certification is given upon completion of 2 day practical application seminar hosted by Ignition and passing of speed certification exam administered by Ignition staff. Learn the basics of each category of training that goes into the Ignition speed system. Learn how to progress and regress drills and exercises to meet the needs of the athletes and/or clientele for an optimal training effect and to reduce the likelihood of injury and over-training. Learn how and when to cue athletes during the course of a training program. Learn the importance of adaptation and stress and when to progress and/or regress an athlete or client. Learn the Ignition daily template and how to adjust the program to fit the needs of the individual and/or team. Learn how to optimize the flow of group training sessions and how to individualize them for your athletes and clients. Learn how to test, evaluate, and create a performance profile for an athlete, their sport, and their position. Ignition is a worldwide leader in Speed/Agility training for athletes of all levels. Learn the same Speed System that has trained over 300+ professional athletes in all major sports including Olympic athletes and top performers at the NFL Combine. Learn to practically apply current concepts taught in many exercise science programs. It’s a great atmosphere to network with some of the top strength/speed coaches in the industry. Increase your marketability when applying for graduate school or internships. Ignition Certification is a minimum requirement to apply for an internship with Ignition. Start a speed camp on the side to make some extra money. Train athletes of all ages in speed, agility, quickness in your local area. 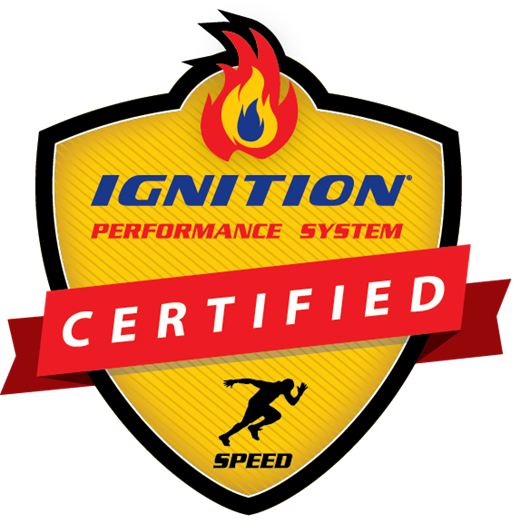 The Ignition Speed Certification will teach the fundamental components that make up a well-rounded performance program. The system taught in the course can be adjusted and specifically designed to all types of athletes at different experience levels. The course will also provide information on how to coach, cue, and develop different types of skills. Ignition believes that becoming a better coach truly comes from within, but having the right knowledge and tools to utilize athletes will only help the coach be more effective in delivering a training program. With the knowledge taken from the course, the trainer or coach will have the tools and basic knowledge to start implementing speed programs with their athletes or clientele. “The Ignition Speed Certification does a fantastic job of blending science with years of successful practical experience. The Ignition Speed System has been used to train top professional athletes around the world. In a day where it’s hard to stand out amongst the pack, Strength Coaches can truly separate themselves with the Ignition Speed Certification.